In the summer of 2007 I finally took the plunge and became a vegetarian for animal rights and health issues. It was a tough decision to make and a true test of my willpower. I was expecting to feel amazing all the time, and at first I did feel a lot better. I had more energy and didn’t feel so tired after a meal. But I found myself gradually gaining weight and tired even though I was eating “healthier” and surfing a lot…I was stumped. Then I started to take an honest evaluation of my diet, which was filled with common items most of us eat: cheese, veggie burgers, frozen meat-substitutes (or the real stuff), processed foods (pasta, frozen dinners, canned vegetables, pickled items), wheat, and soy products. Despite eating these in moderation, and consuming larger quantities of fresh vegetables, I just physically didn’t feel healthy despite having no medical issues. I began to read a lot about the food I was eating; the benefits and side-effects. In my research, I found major culprits that could be the root cause of my problems – dairy, wheat, pasta, meat/fish*, processed foods, and alcohol. These foods are higher in salt, fat, sugar, and often devoid of their original nutritional value due to processing for longer shelf-life. They are harder for the body to break down taxing your digestive system, liver, and kidneys. 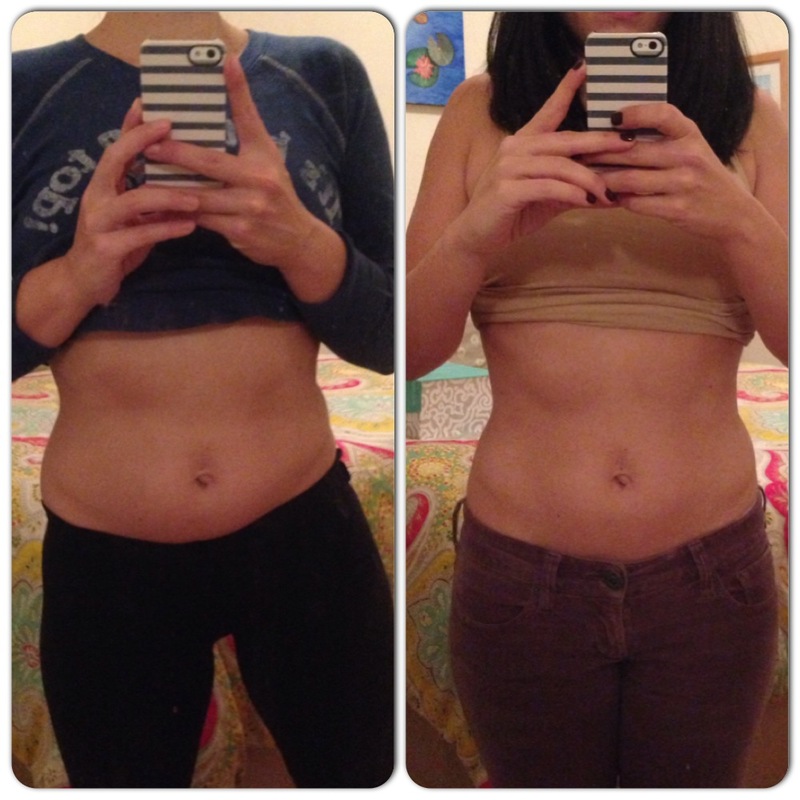 I decided to eliminate these items from my diet for a month to see how I felt. * Meat/fish is also a culprit which I am including for those who are not vegetarian. A month later, my energy level has increased, my skin is well-moisturized and soft (even in the harsh NYC winter) with smaller pores (yay! ), I’m not retaining any excess water weight around my stomach and thighs, my nails are stronger, my blood sugar is regulated, (TMI alert) I’m really regular, and I lost weight (with minimal exercise). The detox flushes everything bad out because you are allowing your body the chance to repair itself and eliminate toxins. During the process, I receive a lot of questions from family and friends about how it works and the health benefits. I strongly believe that this detox works (this is the 4th year I have done this) and I want to share with you so you can improve your health as well. This detox is not a walk in the park. IT’S HARD! You will be tempted everywhere you go to break it but YOU CAN DO IT! Keep the eye on the prize and the results will show as quickly as 5-6 days into it. 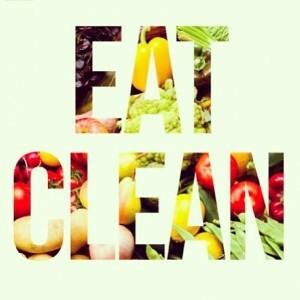 By the end, you will want to keep eating clean…trust me. Warning – I want to make it known that I am not a licensed doctor or certified nutritionist so please consult with your physician before starting this detox. I’m simply sharing what has worked for me in hopes it helps others looking to improve their health and performance. For four-weeks you eliminate all dairy, wheat, pasta, processed foods, meat & fish, and alcohol from your diet. There is no calorie counting and you can eat as many fruits and vegetables as you wish. Eggs are fine. To really detoxify, I also recommend cutting out caffeine in any way shape or form (this is hard too) and soy products. Drink plenty of water and avoid high-sugar drinks or diet foods which often have sugars added to them. Eat as organic as possible too if budget allows: If you have to pick, anything you eat whole is best to purchase organic. If you have to peel it you can buy non-organic. I recommend starting to cut out caffeine, high-fat foods, and reducing your alcohol intake the week prior to starting the detox. This will have you in the healthy mind-frame to start and finish the detox in the four week span. This is the second question I get…why do you cut that out? Here is the skinny and some supplemental links if you are interested in reading more. Meat/Fish – besides all the hormones found in most meat today (unless you strictly eat non-hormonal products), and it’s higher fat content (which is a known), meat and fish sit in your intestinal track for a really long time because it takes a lot of energy for your body to break it down. This is taxing on your digestive track and kidneys. Check out more reason why here. Dairy – Biggest reason, it bloats you. It’s hard on the body to digest and is often filled with hormones. We are the only species on earth that continues to drink another species milk after being weaned. The pasteurization process makes it hard for your body to digest milk and makes your body more acidic pulling calcium from your bones! Cutting it out in all forms will make your skin glow (especially if you suffer from acne) and lose weight. Need milk – switch to Almond milk with has more calcium then milk and is lower in calories. Read more about the side-effects of dairy here. Alcohol – Simple – High in calories, sugar, carbs, and dehydrates you. It also very taxing on your liver and other vital organs. It’s a no brainer to give up but one of the hardest to do if you are a social person. Try drinks out like seltzer water with cranberry or virgin drinks to give yourself the illusion of drinking when out. Cutting out alcohol will also make you lose weight in your mid-section. Check out more side-effects here. Wheat – Because of their high-glycemic index, wheat products make you gain weight and can lead to type 2 diabetes. To avoid it’s side-effects eat low-glycemic alternatives such as sweet potatoes, yucca, plantains, fruits and vegetables, and eat gluten-free after the detox. Wheat weaves it’s way into a lot of foods we eat so read labels carefully. Find out more about wheat here. Processed Foods – Because they are produced to have a long shelf life, these foods are high in salt, sugar, and preservatives all which are terrible for the body. They are higher in calorie usually and devoid of the nutritional value fresh foods contain. Avoid all together if possible during the detox. Soy – Often genetically modified to contain pesticides in the bean (unless it’s marked non-GMO), soy is in so many food products now it’s hard to avoid. It’s also is high in estrogen (males beware!). If you are going to eat soy products, do so in moderation and make sure it’s organic. Caffeine – If you have the will power to cut out caffeine do it! It’s a stimulant that raises your blood-pressure and acts as a mild diuretic so you are passing water quicker from the body. Also, consumption of caffeine has been linked to kidney stones. Slowly phase it out of your diet to avoid withdraw…which take it from me, is not a fun process if you rely on coffee or tea to wake you up in the morning. Get creative here. This is your chance to clean your body out and kick-start your health. You are not confined to just salads here. Pick up some great vegetarian and vegan cookbooks to help you out if you are stuck. 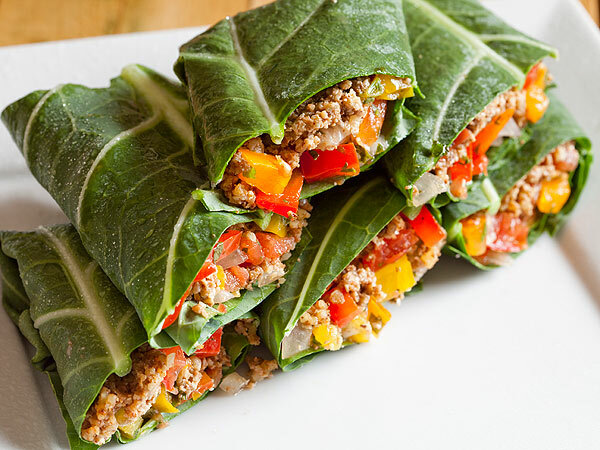 I am a huge fan of Kimberly Snyder’s Gorilla Tacos from her The Beauty Detox Foods book. She really explains the benefits of clean eating and has amazing recipes you can try. Stock up! Fill your pantry with spices, vegetable broth (or make your own), dry beans, quinoa, organic brown rice, farro, rice pastas, marinara sauce, almonds, and walnuts. Purchase organic when possible for optimal nutrient-rich foods. If you are on a budget, here is a great list of what you should buy. Use Organic Sunflower Oil for cooking due to it’s high-heat tolerance and it also contains protein along with other health benefits. Plan your meals and cook in bulk. This will cut down on the time you spend cooking and save you money. Do not skip meals and eat when you are hungry. Have some fruit in between meals or drink water to fill you up. Do not drink water while eating. This dilutes the digestive acids in your stomach and takes your body longer to process food. Have some water about 30 minutes before meals. Have a friend detox with you so you can both encourage each other. You will be in situations where many of the restricted detox foods will be present so it helps to have a buddy to keep you on track. I hope you try this detox out to kick-start your body and achieve a better you. Remember this is all for you and no one else. You will feel great afterwards and will want to continue down the path of cleaner, healthier eating.